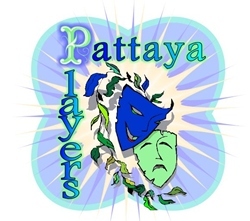 Local amateur dramatics group the Pattaya Players have announced auditions for their next production of 3 one-act plays to be staged on 27 & 28 June. The open auditions will take place at the Eastern Grand Palace on Soi Khao-Talo at 6.30 p.m. on Tuesday, May 6. Actors are required for the following plays: “Blind Woman’s Bluff” (suspense with comic dialogue) directed by Doug Campbell has parts for 1 male and 1 female; “Heaven’s Waiting Room” (comedy) directed by Wendy Khan has parts for 5 characters; and “Airfield” (comedy) directed by Eileen Denning requires 1 male and 2 female actors. If anyone has ever wanted to take part in a play, but only felt able to do a small part, then this is the time to try it. These are all short plays of around 30 minutes each and there are parts for male and female actors of various ages. New faces are always welcome to the group.